Sonic has been losing his rings for years with bad games. Sonic Mania is the first big step to getting them all back. Sonic the Hedgehog used to be a series held in high regard. What was obviously an answer to Nintendo’s plumbing mascot was actually something entirely different. It was its own kind of awesome. Unfortunately, due to hiccups and head-scratching development decisions, a lot of fans turned their backs on the blue hedgehog. Sonic Mania is more than a return to prominence. In a year that we can arguably call the year of the mascot platformer, especially with the success of Crash Bandicoot and the upcoming release of Super Mario Odyssey, Sonic Mania ended up being a product that stands head and shoulders above every Sonic game before it. At first glance, Sonic Mania looks like a back to basics approach with the series, but it’s really much more than that. The Sonic Mania development team is led by Christian “The Taxman” Whitehead, who Sonic series producer Takashi Iizuka had helm the enhanced mobile ports of both Sonic the Hedgehog and Sonic the Hedgehog 2. Prior to that, The Taxman lent his hand to countless fan-made Sonic games that made extensive use of his Retro Engine of which Sonic Mania takes full advantage. Joining Whitehead is Simon “Stealth” Thomley of Headcannon, one of the main designers of Sonic the Hedgehog Megamix, a well-noted yet unfinished Sonic fangame that may very well be the foundation of what Sonic Mania actually is. Rounding out the core of the development team is level designer Jared Kasl, artist Tom Fry, and composer Tee Lopes of PagodaWest Games. This primarily fan run team-up ended up with a product that retains the look and feel of the original 16-bit Sonic trilogy (& Knuckles) with authentic and necessary additions, all while being an awesome nod to everything great the entire series represents. This is Sonic the Hedgehog the way it should have always been. There’s plenty to like here, especially if you’re a current or former Sonic fan. Each “zone” in the game features two “acts” — so you essentially have two levels per area. While the main highlight is the game’s original new levels, Sonic Mania boasts plenty of zones that are tributes to Sonic’s past. The game features bosses in every stage, and not every boss requires a fight either. We won’t spoil it, but be sure to play through Chemical Plant Zone. Such examples include Green Hill Zone from the original Sonic as well as Chemical Plant Zone from Sonic 2. While they aren’t picture perfect copies, the first act in each zone are designed to look and feel like the way they were in their original games, while the second act in these zones throw some different twists and turns making the levels feel different while also making sense with the zone’s theme and setting. Even the music is remixed, further giving it a familiar yet fresh feel. The gimmicks in these second acts are really where the remixed level design shines. The second act in Chemical Plant, for example, features the ability to change the color and solidify the chemicals to make them bouncy while the second act in Sonic Mania‘s version of Sonic 2‘s Oil Ocean Zone remixes the level with toxins in the air while also giving Sonic the ability to travel up oil spills by constantly tapping the jump button. These changes really aren’t exactly groundbreaking, but they still feel authentic and fresh enough to be believable Sonic Team changes. Separating Sonic games from other 2D platformers are the multiple routes you can take depending on how you want to tackle each level. Those who played the original might note the issue with the game’s pacing, as it’s easy to think Sonic is all about the speed when you have more slow-paced methodical levels like original game’s Marble Zone that rely on careful platforming. The series has always been about highlighting both, sort of catering to both methods of play and relying on the user to find their own comfort level. Sonic Mania capitalizes on this, as each stage in the game is of reasonable length and has sections that are speedrunner heavy as well as platform friendly, making the exploration aspect strong enough to really encourage players to play each stage over and over. In fact, replaying levels is something players should really want to do. The game rewards players for taking the unbeaten path with all sorts of secrets that lead to special stages that’ll earn unlockables. 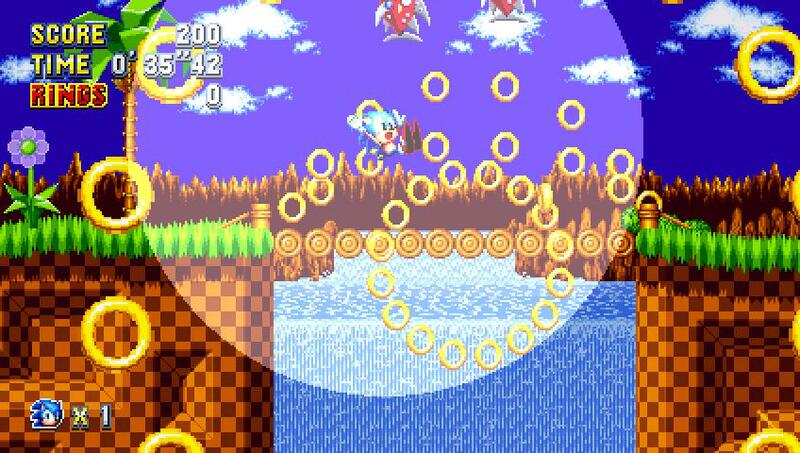 Making a return are the giant rings often hidden in hard to reach pathways that lead to a special bonus stage. These stages take a polygonal quasi-3D turn similar to the look of Sonic R. The stage requires you to collect as many blue spheres as possible to up your speed and catch a UFO within a certain time limit. 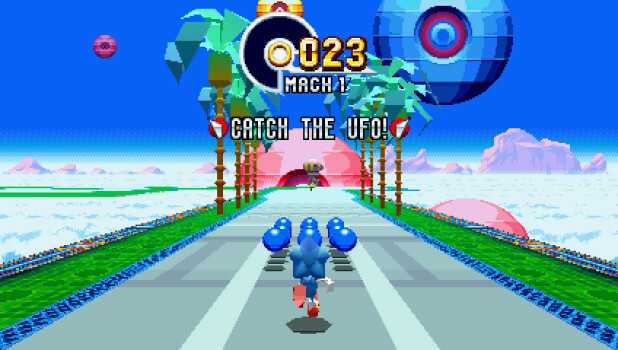 If you catch a UFO successfully, you’re awarded with a Chaos Emerald. As with the rest of the Sonic games, if you collect all the Chaos Emeralds, something super happens. One of the two kinds of special stages shows a love for polygonal visuals despite the fact that they could’ve gone with a more high-definition route, giving the game a special kind of charm. In addition to the special stages accessible through giant rings, there’s another special stage you can get to by jumping into stars at every checkpoint when you have a number of rings. 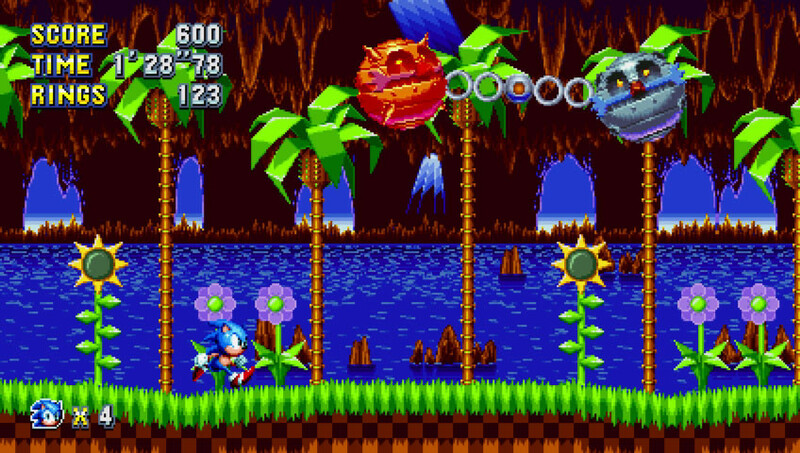 Those familiar with Sonic 3 might remember the semi-3D bonus stages where you had to collect all the blue spheres; we’re happy to say they’re back, and if you complete one of these levels successfully, you get a medal which are used to unlock a slew of different modes within the game. The ability to use Sonic, Tails, Knuckles, and Sonic & Tails is another return that shouldn’t be overlooked. While both Tails or Knuckles don’t quite have Sonic’s speed, they make up for it in their ability to fly or glide their way through these sidescrolling stages to find the aforementioned alternate routes. It’s also fun figuring out different ways to beat the game’s bosses, which every level features. The default Sonic & Tails setup is also a solid way to get an extra hit on bosses or help to get rings you may have lost while getting hurt. Sonic Mania is a winner, and I can’t think of any other game that gets you the value that $20 does here. 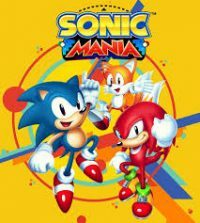 Aside from the lack of a physical copy (and probably a platinum trophy), there is absolutely nothing about Sonic Mania that doesn’t make it worth its price tag. Each of the game’s unique and nostalgia-provoking worlds feature fantastic level design rewarding to both speedrunners and explorers, its pacing is the best I’ve seen out of every Sonic game before it, and there is absolutely no DLC–the game comes complete and is about as polished as it can get, and I also can’t stop listening to the soundtrack. Tee Lopes definitely hit it out of the park with this one. I primarily played the game on the Switch and PlayStation 4, but more often found myself playing the Switch version due to its portability and the PS4 version’s lack of a platinum trophy combined with the fact that I’d have to pin myself in front of a TV to play made the experience feel limiting. It’s clear that Sonic Mania was made with a lot of tender loving care, and with all the fans this game is set to please in addition to finding new ones, it would be a shame if Sega doesn’t name Christian Whitehead and company the new Sonic Team. The game was purchased and reviewed on the Nintendo Switch and PlayStation 4.